Modern marketing managers wear many hats. Facing the requirement to attract and convert customers through creative marketing materials, marketing managers must be the jack-of-all trades and agile enough to move wherever their team needs them on a given day. Unfortunately, the time-consuming nature of dealing with product information often gets in the way of this agility. The good news is that there's a solution: a PIM system. Today, Product Information Management systems, or PIM systems, support intelligent multi-channel marketing and make it easier for marketing managers to excel at their jobs. Modern marketing managers are creative people, but they often have little time for creative work. Because modern marketing managers have to look for product information across all systems, and double-check (manually) that everything is valid and updated, it's tough to dedicate the time and energy required to the more creative aspects of your job. With a good PIM system, though, this isn't a problem. PIM systems simplify multi-channel marketing and free up critical time for the deep, creative work that helps you earn customers and support the brand. This, in turn, results in a larger bottom line and more ROI for your team. The demand for multichannel marketing makes it close to impossible to manually handle product information updates across systems and channels. This is made even more difficult by the fact that the customer expects seamless experiences across all channels. A PIM system can help deliver it. By offering a fast way to produce catalogs, take products to market and access user-friendly design templates, PIM systems streamline your job, simplify and enhance the customer experience and ensure everyone is happy with what they're getting from online communication. Today, it's common for Sales Departments to request information that is individually adjusted for customer needs. This causes the need for a system to support customizing quotes, brochures, product data sheets and more. With a PIM system, though, this is a small ask. PIM systems allow marketing managers to individualize communication across a variety of segments and deliver it to other teams in a streamlined and simplified fashion. When content is easy to differentiate, and product ranges and layouts easy to personalize, it's easier for marketing managers to tailor information for various segments, and to ensure that all product information within those segments is accurate and updated. Since PIM systems also allow marketing managers to manage content in various languages, they're fantastic tools for companies that specialize in multi-channel marketing to an international audience. A modern PIM system supports effective multi-channel marketing. By solving many of the time-consuming problems modern marketing managers typically face, PIM systems can make more space for creativity and innovation, and decrease the time marketing teams spend manually entering information, checking for accuracy and completing other unrelated tasks. This, in turn, helps grow a company's bottom line and contributes to a more agile and adaptive firm. When accuracy and automation come together, great things happen and marketing managers in all brands and specialties can benefit from this unique partnership. 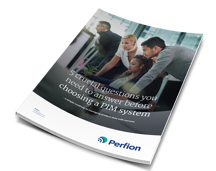 You are facing the Marketing Manager's challenges, but which PIM system will suit you best?